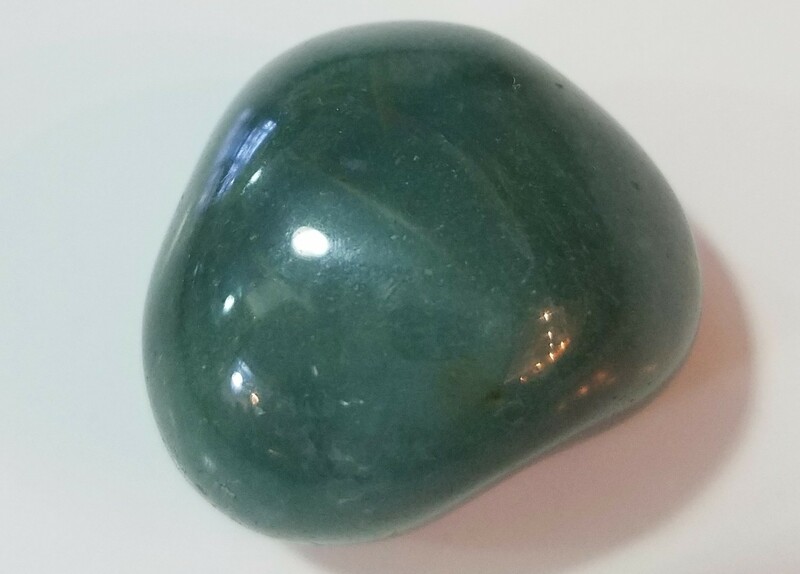 Bloodstone is a great purifier, a healing tool for dispelling negative influences from the auric field and bringing one's subtle energies into wholeness and balance. Bloodstone grounds one fully in the body and with that grounding comes the enhancement of one's capacity to function with strength, determination and courage through the whole range of challenges inherent in earthly life. Bloodstone strengthens the root chakra, source of our physical energies, and it helps one dispel sluggishness in that area.